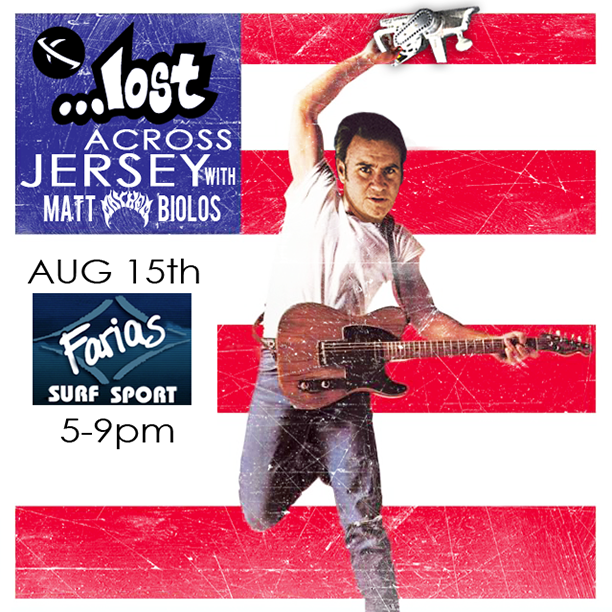 Matt Biolos of ..Lost Surfboards will be making his annual East Coast pilgrimage to Farias Surf and Sport, Ship Bottom, NJ with the purpose of dialing you into the best surfboard you've ever had. He will be in the shop talking boards and mythical tales of Wardo on Aug 15th from 5-9 pm. Lost specials all night including some boards $100-$200 off! Come meet an American surfing legend and hang with the Ward Army. See you there.